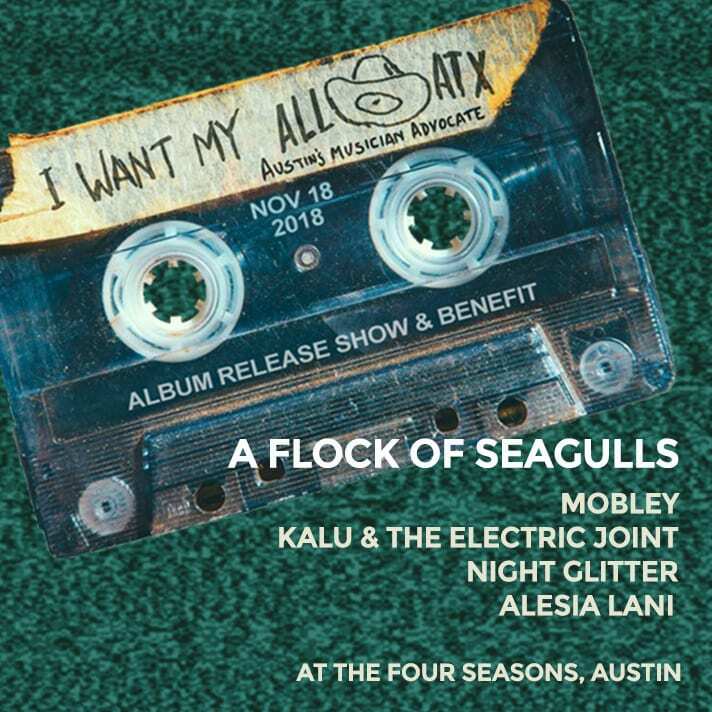 KUTX and the Four Seasons are proud to present “I Want My All ATX,” a totally rad benefit concert and album release show for the latest ALL ATX compilation album, paying tribute to the bodacious tunes of the early MTV era. Join us Sunday, November 18 on the lawn of the Four Seasons hotel for live performances from A Flock Of Seagulls, Kalu and The Electric Joint, Alesia Lani, Mobley, and more! This righteous 80s resurrection benefits ALL ATX an umbrella organization supporting the Health Alliance for Austin Musicians, The SIMS Foundation, Black Fret, and Austin Music Foundation. Tickets for this rain or shine event are on sale now. GA lawn tickets are $20 with VIP options also available. Additional support for the “I Want My All ATX” benefit concert comes from Margin Walker Presents and Rock n Roll Rentals. ALL ATX is an Austin music education based 501(c)(3) nonprofit that, in addition to its education outreach, provides exposure and training to Austin-area developing musicians through an annual live performance concert and a related musical album compilation. In addition to featuring these musicians on the compilation and at the concert, it raises money for Austin’s music charities who aid musicians in the areas of health care and income support.